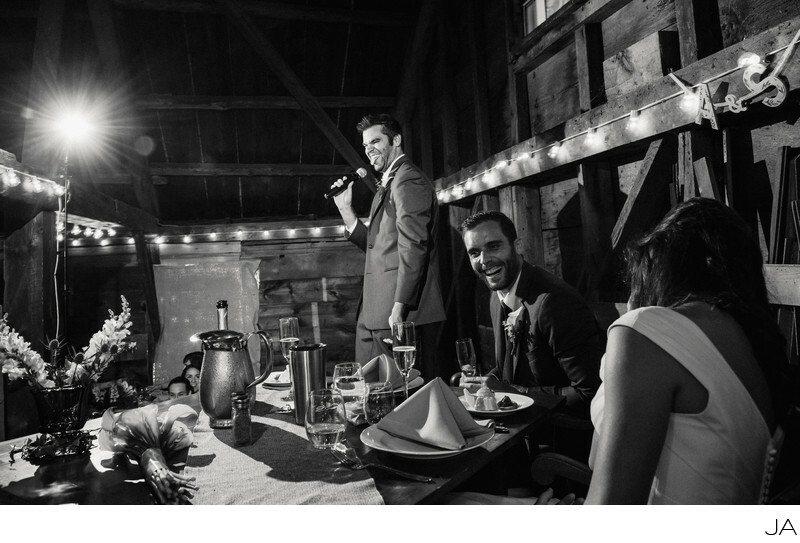 This is a photograph of the best mans speech from the wedding of Amelia and Sam at the Chandler House Barn, New Gloucester Maine. This barn is especially beautiful for weddings as it has two levels, the top level for dinner and the bottom for dancing and cocktail hour. Maine barns offer gorgeous photo opportunities to capture the true history of Maine surround by a sunning backdrop of mountains, fields and woods. As a Maine wedding photographer I am always thrilled to photograph inside and around one of the many Maine wedding barns. Location: 337 Intervale Rd, New Gloucester, ME 04260.